George is an entrepreneur and investor turned educator. 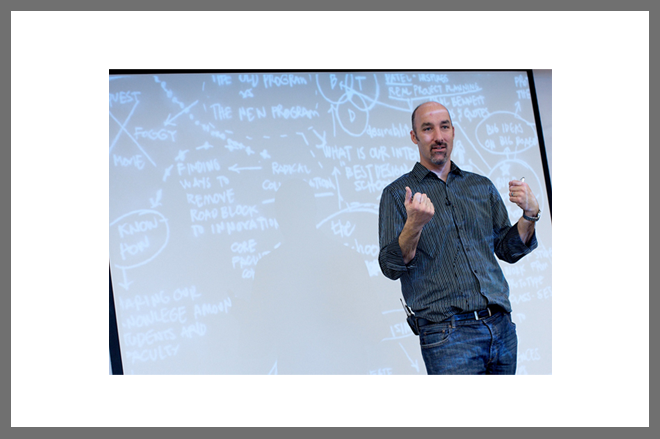 He co-founded and now leads the d.school: Institute for Design at Stanford. George’s experiences as CEO, venture capitalist, and now teacher have radically reshaped his approach to leadership. George focuses the d.school on innovators, not innovations. He prioritizes learning over expertise, experimentation over planning, and collaboration over individual excellence. His personal missions include: fundamentally transforming how we educate our children, how we lead our organizations, and how we tackle some of the most significant challenges of our time. George lives with his wife and three boys in Redwood City, California. Throughout the program, George will be co-teaching a course on global entrepreneurship with Daniel Epstein.